FBI Director Robert Mueller was sworn in Wednesday for another two-year term as head of the bureau. 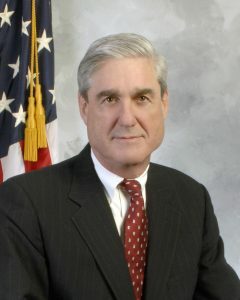 Mueller had already been in charge of the bureau for ten years, originally the maximum term for FBI directors. However, The Hill reports President Obama asked Congress for an extended term in order to provide continuity in the agency. The House approved legislation July 25 overriding the ten-year term limit and the Senate voted 100-0 to confirm Mueller July 27. “A short-term legislative change will allow Bob to remain at the FBI for an additional two years so the President’s counterterrorism team can continue to work together seamlessly,” Attorney General Eric Holder said.